My name is Mahesh and I’m writing this on behalf of my sister Vijaya, and my nephew Aniket who live in India. In a very unfortunate and vicious incident she lost her husband Karunakar Karengle (aged 53 years) on Friday, 8th December 2017. He worked for a store in Cincinnati, Ohio and was fatally shot by merciless armed robbers. My brother-in-law was very hard working and a considerate person. He was a loving husband and a devoted father. 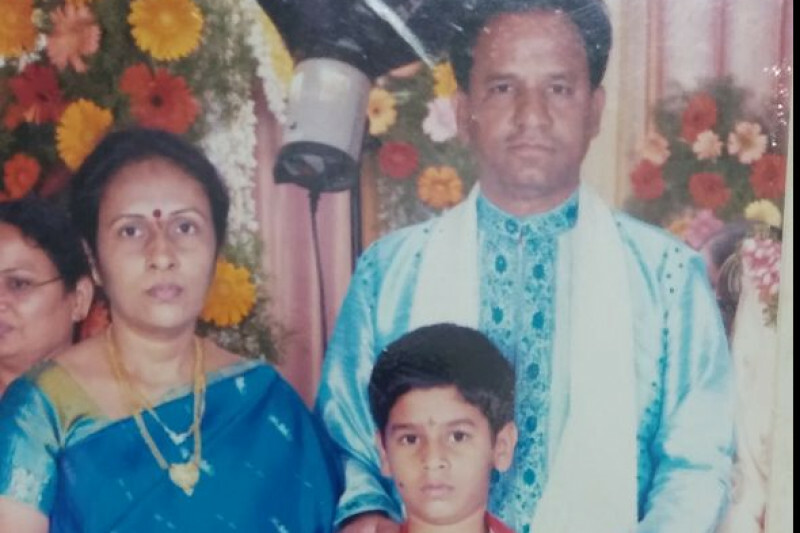 Due to various circumstances he incurred financial debt in India because of which he travelled to the U.S a few years ago to try and make enough money to clear his debt, support his family in India, give them a better life and especially for their only Son’s education and future. He was working 7 days a week almost 12 hours a day to make ends meet. My nephew Aniket is a smart kid with a promising future and deserves our support. He is now in 12th standard and is just about to start understanding surroundings and living. This unexpected and unforeseen incident made my brother-in-law a victim of crime and deprived abruptly his family a source of income which was and is sole basis of the future of my sister and her son. Although this gofundme project may never help them get over this irreversible loss of life but, it aims to help them recover a bit from sudden financial burdens. This memorial fund will primarily help my sister who has been home-maker till date, pay for my nephew’s education, and hopefully provide a shimmer of hope in this grieving condition. I need help from you, your friends and family who believe in my cause. No contribution is small and every little bit helps. No words can express my gratitude for your time and contribution. Although broken, we thank you with all of our hearts.